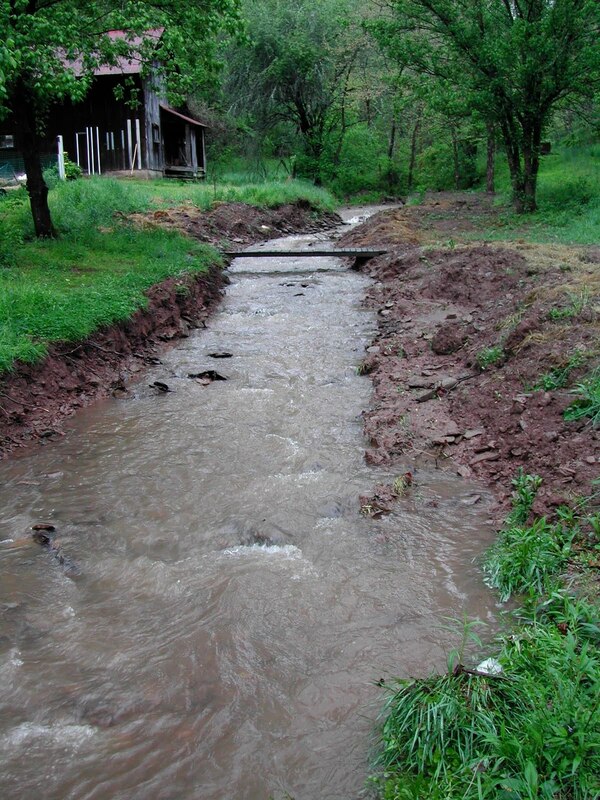 After recent torrential showers, Doe Run got its post-dredging trial. It cleared out beautifully. The Run ran, even though the lower forty got a bit flooded. I was very interested in your creek remodeling. I am in the process of building a log cabin on 58 acres in Charlottesville, Va. 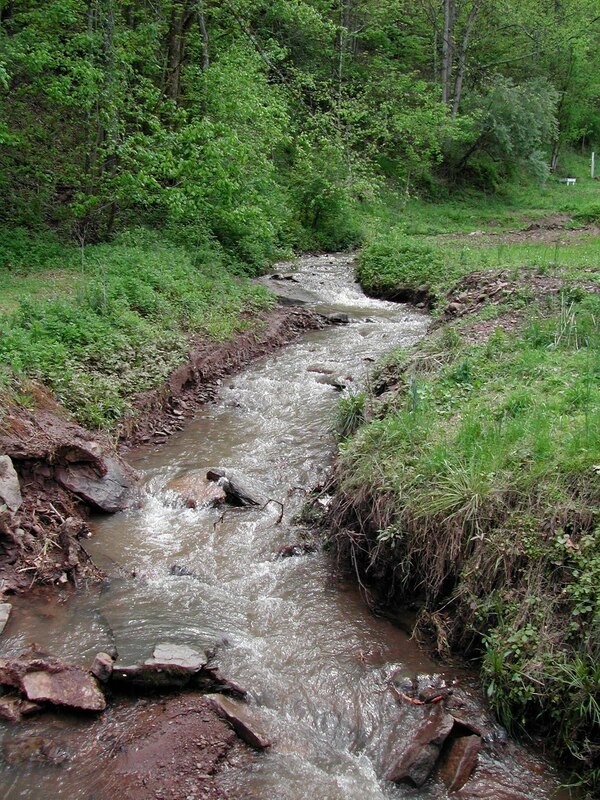 The building permit required the cabin to be 100 feet back from the creek. 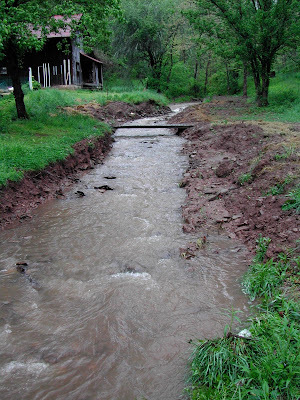 There was a problem with the site so we moved the creek 17 feet. I thought that was going to be catastrophic but it was about a 1 hour job. The creek didn't mind and flows just as it did before the "remodeling". The log cabin has been terribly expensive so far. I had no idea when I started this affair that it would be more difficult than stick building and take so much more time. I presently have about $90,000 in 3 horizontal logs laid in one wall. The contractor fired the carpenter and now the contractor is the only one working. I'm 75 years old and at this rate I won't live to see this thing finished.